Rick and Gareth finally settle their differences, while Father Gabriel’s secrets rise to the surface. “Four Walls and a Roof” continues the impressive marathon of solid episodes in Season 5. The episode begins with some cringeworthy and effective juxtaposition between Gareth’s feasting crew and a bunch of walkers attempting to break through a window. The parallel works as Gareth and his crew devour Bob’s flesh as Gareth paces through a monologue full of despair and survival. Claiming to be talking to Bob because he’s trying to be a “human being,” Gareth instead shows his full rationalization of cannibalism. Hearing him talk about it as casually as skinning a deer is unsettling. What ends this introduction is Bob maniacally laughing at the fact they were all eating tainted meat, as he revealed his bite. Fresh off the credit reel, Sasha goes searching for Bob in the woods. She confronts Father Gabriel, demanding answers for Bob, Daryl, and Carol’s disappearances. After cracking, we’re given the full measure of what Gabriel is made of, and he maintains his level of cowardice that was displayed while screaming atop that boulder last week. I tried to see it from his side, but I couldn’t help but feel angry that Gabriel refused to unlock the door and listened to his congregation get torn to shreds. As much as this episode made me dislike Gabriel, I am wondering how long it’ll take for him to either die or redeem himself. Abraham deciding to head out to Washington really screwed with the flow of the episode. I will say I like Abraham’s dialogue though, especially when he’s riled up. Phrases like “Do not lay hands!” form his character as a military man, which I quite enjoy in contrast to Eugene’s brainy analytical statements. But the entire “We’re leaving, well… okay we’ll stay if Glenn and Maggie come with us…” just didn’t make any sense. It was awesome to see Rick back in badass form, absolutely willing to fight anyone regardless of size if he think’s he needs to do so. Rick’s team faking out Gareth’s was a really nice high point for the episode. I am really surprised that they decided to take Gareth out so early. I can only imagine the writers don’t want any of us to get too comfortable with Terminus, but rather have us focused on Washington. The brutality of the church massacre was as great as it was to see Rick large and back in charge. His “I already made you a promise” line was a solid one, because after all, these people were planning on eating every one of his friends. You can’t really feel bad for cannibals. The “farewell Bob” scene was well done, mostly because it allowed Bob to make jokes while being sincere. His statement to Rick about seeing hope in Judith was as touching as Sasha’s final moments with him, and I’m glad they chose to let Tyreese kill him before turning. 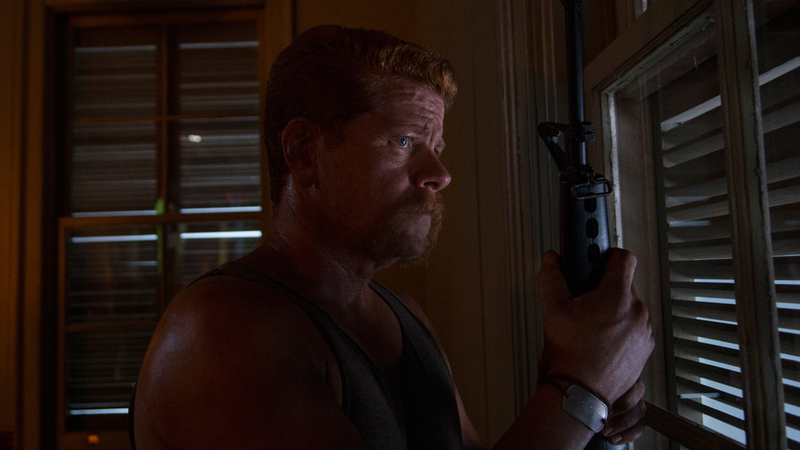 “Four Walls and a Roof” ended with the irritating split of Abraham, Eugene, and Rosita, joined by Glenn, Maggie, and Tara as they head to Washington. The dividing of the group didn’t make any more sense than it did before taking out Gareth and his group. While the show left us with a lot more questions than answers, we do get to see Daryl, but unfortunately not the proceeding body behind him. “Four Walls and a Roof” brought about the fall of Gareth and his fellow cannibals a lot faster than I would have thought, but it opened the door for an entirely new villain to surface. 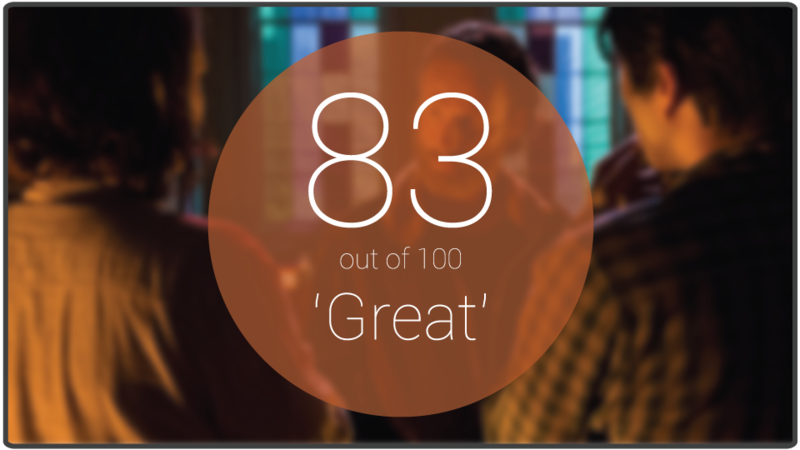 The divide in the group made little sense and detracted from the episode, but overall, The Walking Dead is three for three in delivering quality episodes. Lets hope they can keep this momentum through the rest of the season. Did the group divide make sense to you? Who is in the bushes behind Daryl? Will we ever find out what happens when you eat tainted meat? Let us know in the comments below.